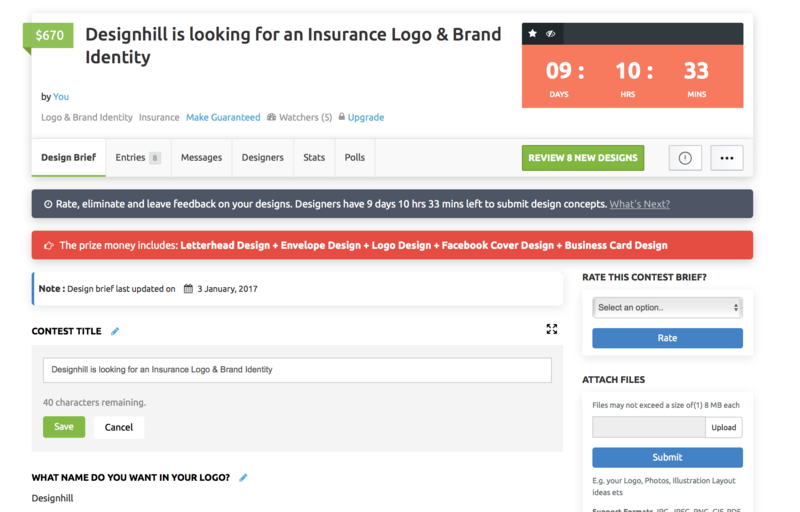 Your contest title is really important and helps to attract designers to your contest. If you ever need to change it you can do this by first clicking on the Design brief tab on your contest dashboard. Once your brief is open you will notice the information broken into segments for the designers. Next to each subheading there’s a grey edit icon that looks like a pencil and when this is clicked a text field will open.